As a luxury real estate marketing professional, are you having an identity crisis? Are you struggling to articulate your own unique promise of value? If so you are not alone. The internet has shaken the very foundation of other service industries, such as travel agencies and stock brokerage firms, by empowering consumers with self-service. What value are you adding on top of self-service and how do you get that message, your unique promise of value, across better than your competition? That is the question! A while back we were invited to attend a seminar (as observers) in which a room full of highly successful agents were gathered. Every agent there earns at least a $500,000 in gross commissions per year. They were asked to express how they stood out from their closest competition. They were ALL, without exception, hard-pressed to quickly come up with their unique selling proposition. Integrity, negotiation skills and market knowledge were some of their best answers. But, there are plenty of agents with similar qualities within their individual marketplaces. Each of these agents was vulnerable. A chink in their armor was exposed. Can you quickly, sharply define and articulate your own personal “DNA” (how you are Different-Not-Alike). If not, erosion of your own market share is inevitable. No, that is not food coloring in the photo above. Nor, is it a Photoshop trick. 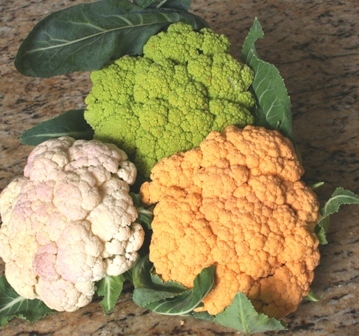 Cauliflower is available in purple, green and “cheddar” in addition to white. The difference in the DNA of these three varieties of cauliflower is minuscule. However, the taste and the outward appearance of each one is unmistakably distinct. Each one has its own distinguishing identity. 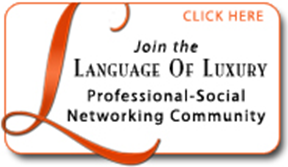 The same concept of DNA applies to branding for luxury real estate marketing professionals. Your challenge now is this: what may have been obvious before is unobvious now. You must now make your distinct DNA so obvious that your target market not only picks up on it instantly, but can also easily communicate about your DNA to others. As branding experts we can help you accelerate the process of discovering and clearly expressing your DNA, your unique promise of value. The process may take some deep soul searching on your part to recognize what is truly unique and original about YOU in relationship to your competition. However, our job is to help you make the unobvious, obvious.